Barry Griffiths took these pictures of yesterday’s very useful Disease Recognition Workshop at Henfaes. Many thanks to RBI Frank Gellatly, and SBI’s Jonathan Garratt and Peter Haywood. 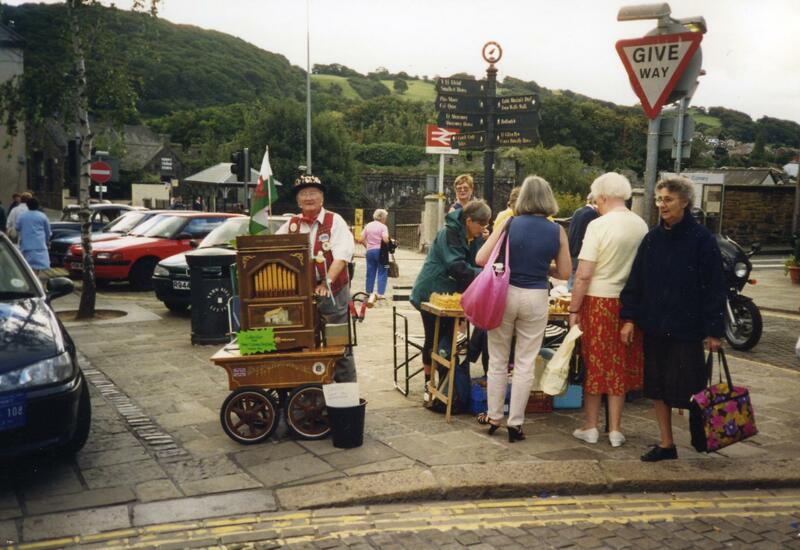 Conwy Quay, 9am to 2pm. Tal y Cafn at 2.30pm. 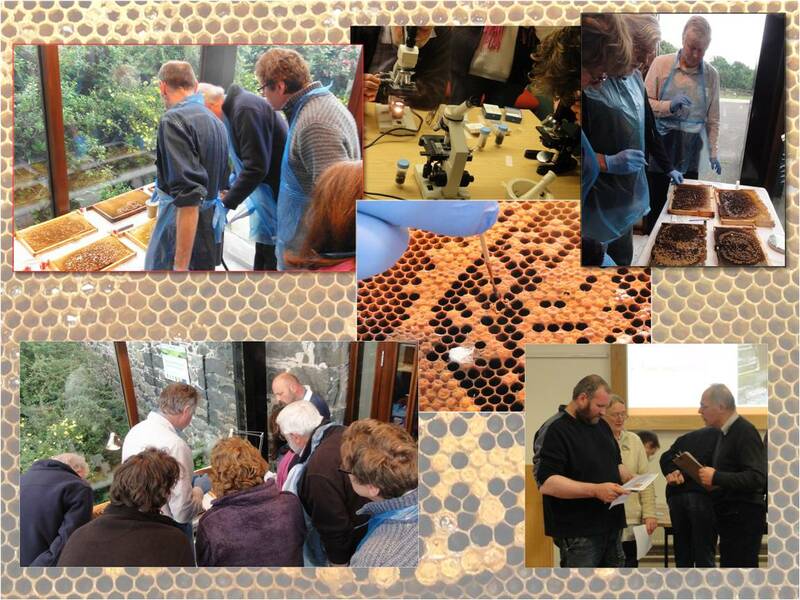 Open to all members, not just new beekeepers. New hives, six colonies, small groups with three or four instructors, a hands-on experience for all. Henfaes. Season seven starts in September, now booking. Highly recommended. See www.beeswales.co.uk. We’ve been offered space for beehives in a field between Betws y Coed and Capel Garmon, 650 ft. ASL, drive-in access to field, good shelter, gentle slope, no public rights of way, just a few sheep in the field. Please contact the secretary if you are interested in using this site. I recorded 42mm of rain near Rowen on Friday, and member Jenny Buels recorded 84mm at Nant Gwynant, the highest one-day rainfall there in eleven years. Can you beat these figures? I live at Tan y Cefn, Garnfadryn. I would like to seriously consider keeping at least one hive of bees (to begin with). What are the procedures I need to follow. I do not drive or own a car but rely on public transport – one bus each day. My first query is – is it too exposed and windy on Garnfadryn. I own half an acre of land on which I am at the moment planting a varied wind break of native trees. Is there a good book I could read on bee keeping ? I am very interested in keeping a hive of bees. What do I need to do ? I own half an acre of land at Garnfadryn where I have recently planted a varied wind break of native trees. Is there a good book on bee keeping that I should read. I do not have my own transport but rely on one local bus per day into Pwllheli. I look forward to hearing from you. Thanks for your message, we are pleased to here you would like to start keeping bees. We suggest you contact Lleyn and Eifionydd Beekeepers’ Association. See http://www.wbka.com for their contact details under Associations. We recommend the book Keeping Bees by Pam Gregory, available from Amazon. Pam Gregory was a former Regional Bee Inspector for Wales.